Pyeongchang, Korea, 19/3/2018-Mark Arendz, athletes return from the 2018 Paralympic Games. Airport Toronto. 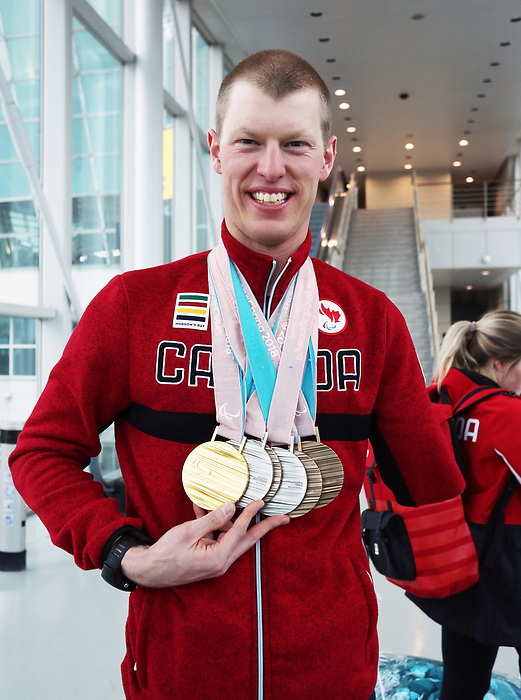 Photo: Scott Grant/Canadian Paralympic Committee.